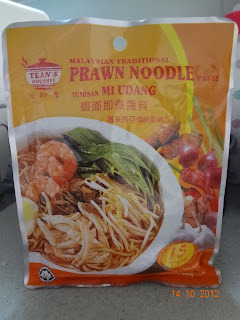 One of my favourite Malaysian hawker food is Har Mee or Penang Prawn Mee. 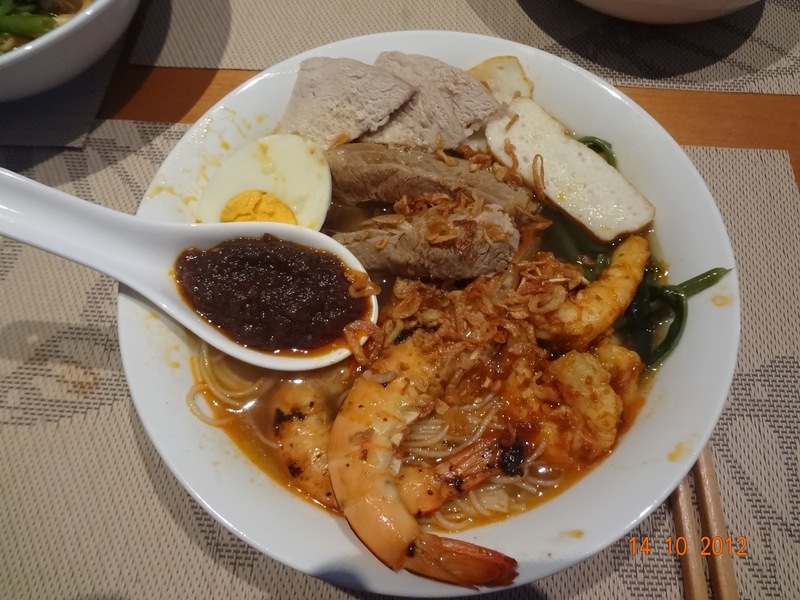 As mentioned, this soup noodle dish is from Penang island, located in the north of Peninsular Malaysia. To make this dish, it takes some time to save up the prawn heads. When I have saved a reasonable quantity, I will make the prawn stock. 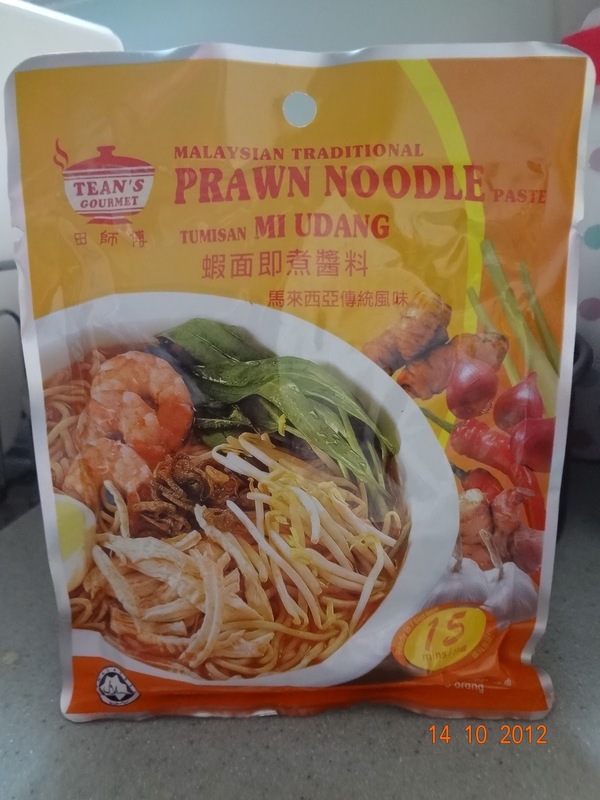 The critical element in this dish is the prawn stock, made by frying prawn heads in some oil, garlic, onions, ginger, dried chillies and chilli paste. Then add some water and let the stock simmer for an hour or two on low heat. Season with rock sugar, salt and pepper. The smell is mouthwatering. When stock is ready, strain to remove prawn heads etc into the pork stock. In a separate stockpot, I add in water; when it is boiling, I add in the pork ribs and pork loin. Leave the pork stock to simmer for 1-2 hours. After an hour, check that the pork loin is cooked, remove and set aside to cool for later. When you've added the prawn stock to the pork stock, taste and season according. 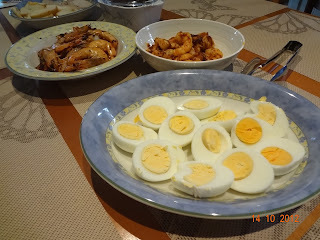 This is my way of cooking Har Mee as my Mum taught me. There are different methods out there. Singapore has its own version of Prawn Mee as well which is very different to the Malaysian style. 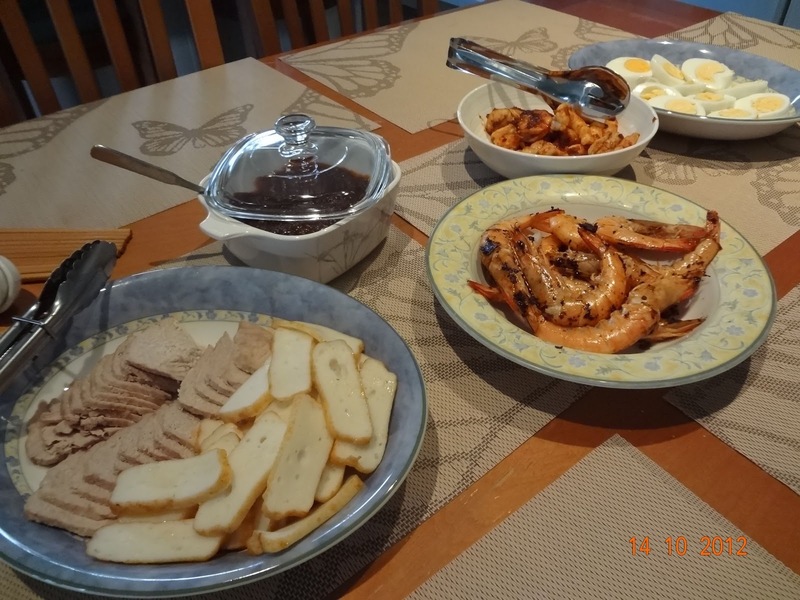 I am submitting this post as part of October 2012's Muhibbah Monday - organised by Test for Skewer,3 Hungry Tummies and Just As Delish. The combination pf both pork loin infused stock with prawn rich flavors is irresistible. It is a lot of work and requires an assembly of so many ingredients - but the results show in the texture and richness of the soup, which is the most important of all.